Apparently this particular dude is a gold prospector of some era, who also prospects for karma. This is for you, taybul! Please enjoy. 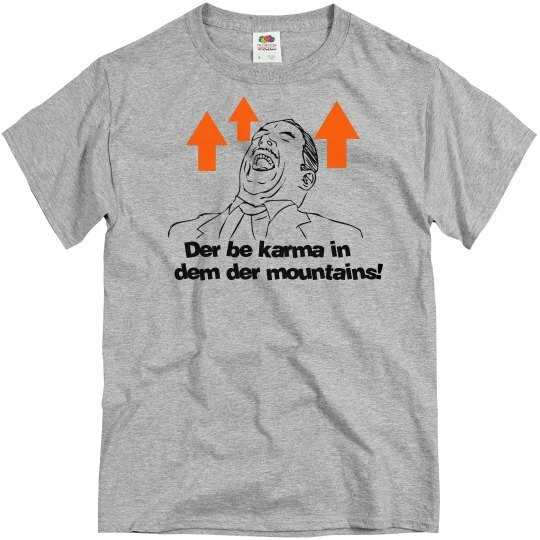 Custom Text: Der be karma in | dem der mountains!